At Userfeed, we're a small bootstrapped SaaS company. Our product management process is likely a lot different than a 100+ person company (as it should be). However, I think there are things larger companies learn from us, and vice versa. 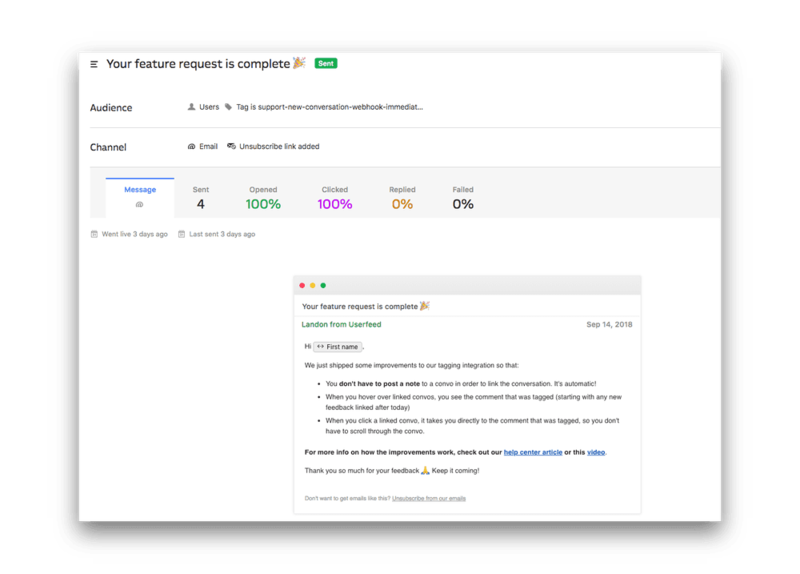 We recently finished a feature, so I thought it would be a fun exercise to discuss everything that happened in the product management flow from the first user feedback conversation to completing the feature and closing the loop with our customers. This also will include the tools used: Intercom (customer communication), Userfeed (product feedback for Intercom), and Basecamp (project management). Sometimes we can foresee things that will be a problem, but with all the things we need to do in a 2 person company, we like to validate our assumptions with user data and context. One of the feeds we created, was the UX Pains 😩 feed. This way we could bucket feedback that wasn't necessarily a feature request. One of those was users forgetting to post a note in a convo to trigger the webhook. 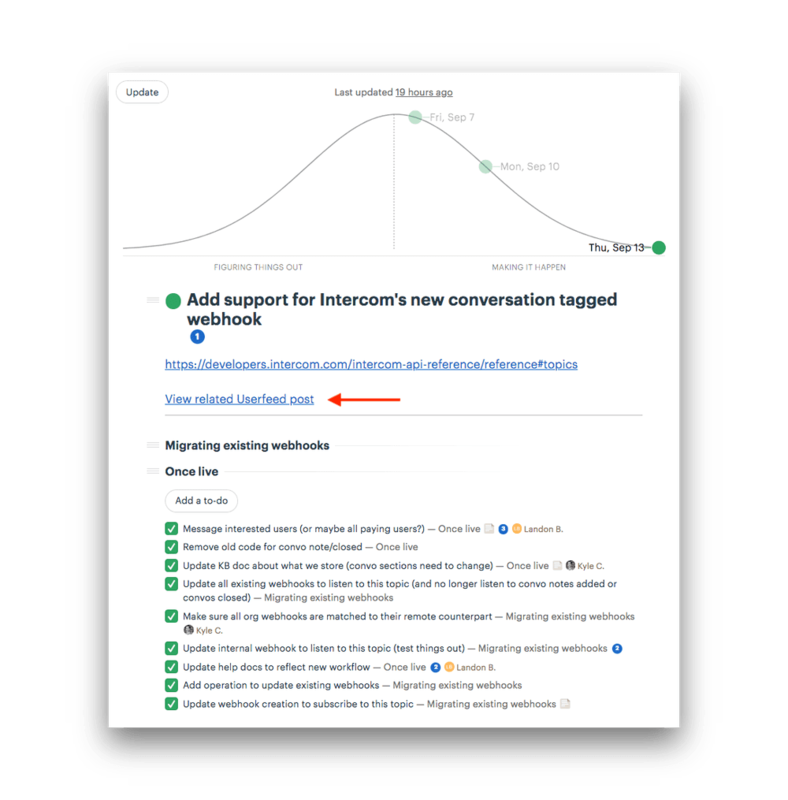 We couldn't really build a solution to this until Intercom updated their webhook, so we decided to capture all of the users and conversations where this UX pain occurred so that we could merge this with the actual solution once we could make an update. 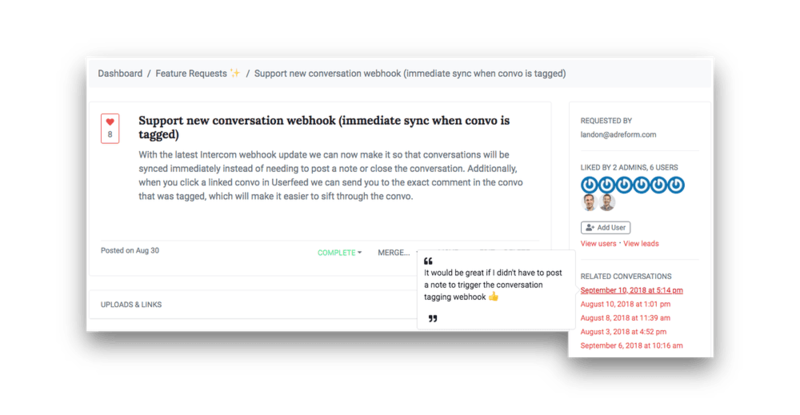 Once Intercom released an update to the webhook, we then created a new feature request in Userfeed and merged the post regarding the UX pain (including all the linked users and conversation data). This is where we would start tracking any new pains/request about this feature. Once we prioritized the feature in our 2 week work cycle, we pushed it into Basecamp (project management tool) to begin building out the tasks to complete the feature (linking back to the Userfeed post for context). 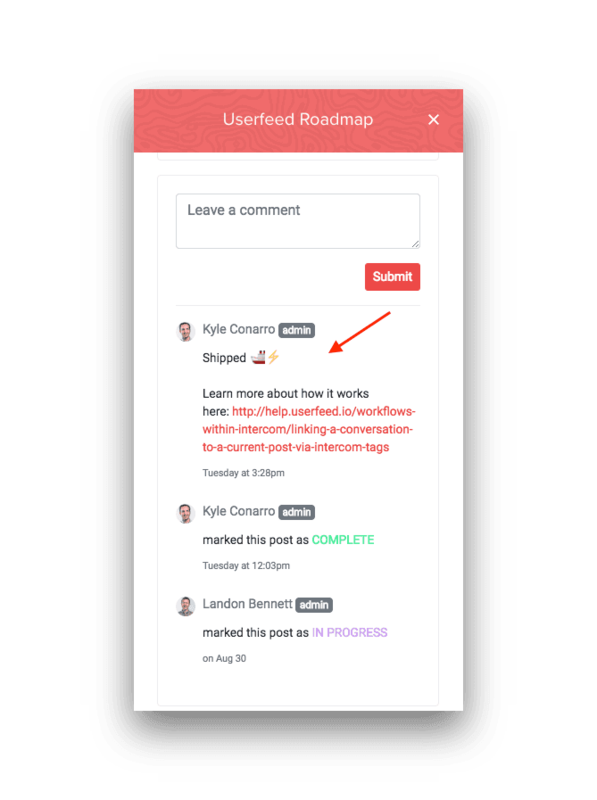 Change the status of the Userfeed post to complete and post a public comment to the Intercom roadmap app (like a changelog) with a link to the help center article. Click view users within the Userfeed post to view the segment (in Intercom) of users that requested this feature. 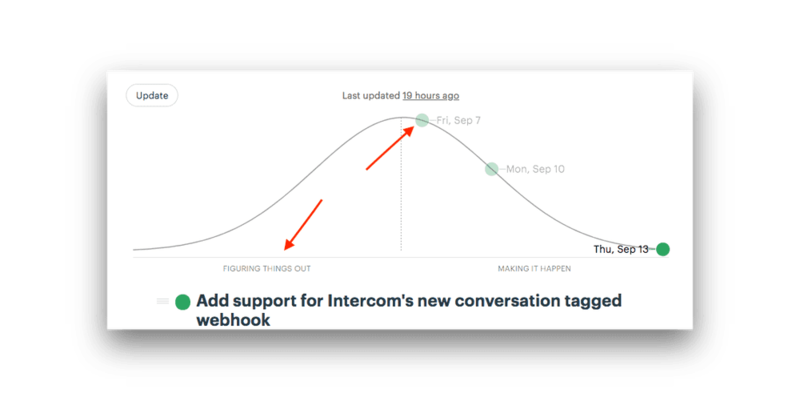 Then send a personalized message (via Intercom) to all the users at once, thanking them for their feedback, and offering info/links/video on how the new feature works. Send an in-app message (via Intercom) to all active users that have signed up prior to the day I sent this, and have more than one web session. Important to note: We don't do this for every new feature, but this particular feature affects all users and is a slight workflow change, so we wanted to keep everyone informed. We typically will message every user (even users who never converted) with a larger features update every month or two depending on how many new features we've been able to release.